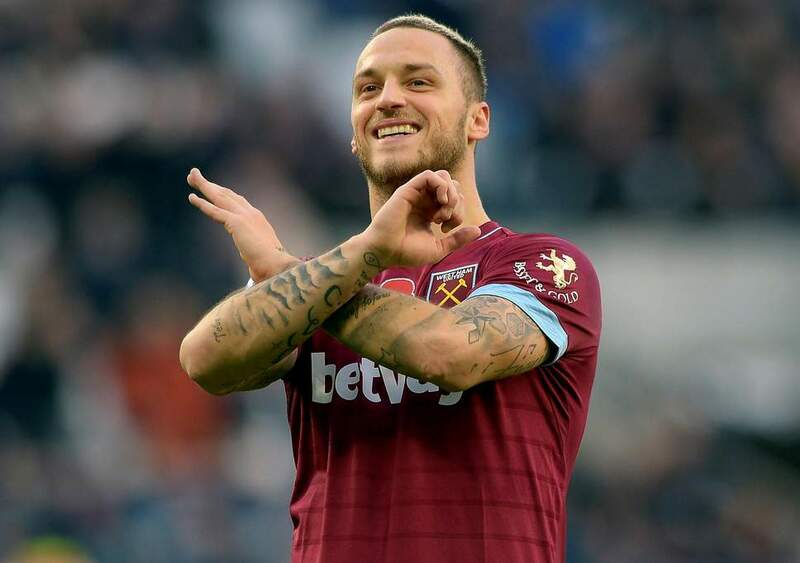 West Ham are resolved to losing Austrian forward, Marko Arnautovic. The erstwhile Stoke City attacker has been linked to Chelsea who have Gonzalo Higuain as another option. According to mobybets.com, the Blues are keen on the Juventus striker who has spent this season on loan at AC Milan. However, Arnautovic’s potential exit can not be ruled out after his gesture towards the fans in Saturday’s 1-0 victory over Arsenal. The Irons rate the giant forward at around £40m but there’s a twist to the deal. The Potters is factored in. Of the expected £40m, Stoke are due 20% of any profit, after selling the player to West Ham for £20m in 2017, which would amount to £4m. Whatever be the case, the Hammers are already lining a replacement. Bournemouth’s Callum Wilson is among a row call of poachers on the club’s shortlist to replace the Austrian.For that to happen, Manuel Pellegrini’s side would have to fork out over £50m. To do so, the likes of Javier Hernandez and Andy Caroll may be forced to depart. If this deals eventually happens, it would be the most expensive in the club’s history smashing Felipe Anderson’s record signing when he joined from Lazio for £36m. Wilson is worth every penny though. The Englishman is a natural goalscorer, with 10 goals already this term.His positioning sense and intelligence in front of the goal make him a key part of the Cherries’ dynamic attack. Wilson isn’t just a poacher, his impact to the team’s performance with through passes in crucial moments is superb. His defensive contribution needs some improvement having cost so many fans lost betting on West Ham with footall.com, though, as he often experiences difficulties to hold on to the ball. But in a defensive side like West Ham, that could be pardoned.